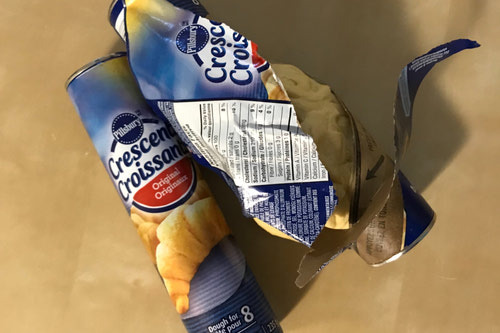 Elevated Enviro reviews Pillsbury Croissants and what of them can be diverted from the landfill after use, waste diversion. Elevated Enviro reviews everyday products to find out how much of it can be diverted from landfills. The average sorting facility across North America is managed and sorted by people. These facilities are the first stop for our recyclables from our homes. Size, quality, grade and a mix of materials all impacts if something gets recycled or not. 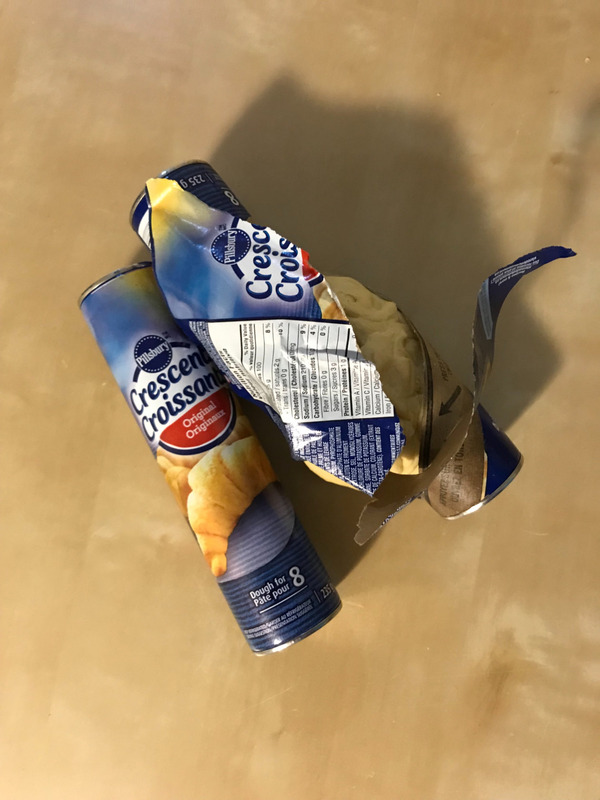 Let’s see how Pillsbury Croissants do. The package is completely un-recycable in most areas. This is because the paper used is a blend of foil and paper. These two materials would have to be separated before they could be recycled. The technology to do this is not common deployed. The can has two tin caps on either side, glued to the paper. This too would have to be separated, very difficult to do. The dough is a food product and anything you don’t use could be placed in the organics or compost bin. We give this product a 1.2 out 5.